Public participation is experiencing increasing recognition as an indispensable component of effective communication and engagement between resource users and managers in natural resource planning and management. To bridge a gap between communication, information and participation, natural resource management agencies have increasingly used the visual capability of spatial decision support tools, such as geographic information systems. Nevertheless, both participation and the use of spatial technologies have been promoted without much consideration of how particular stakeholder groups participate and use existing decision support tools. 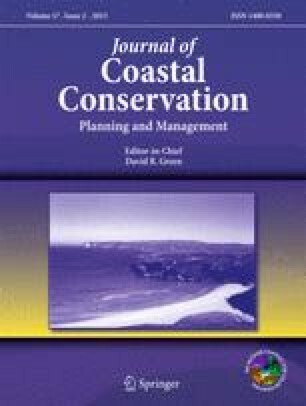 This paper analyses the current state of public participation and the extent to which spatial data and geographic information tools are used by stakeholder groups to facilitate access to information and to support communication in water quality management on the Great Barrier Reef coast. Data were collected via document analysis, participant observation at stakeholders’ meeting, face-to-face interviews and questionnaires. Qualitative data were coded for themes using coding analysis processes, whereas quantitative data from the surveys were analysed using standard exploratory and descriptive statistical techniques. Results reveal that reliance on the natural resource management officer, established networks and personal relationships, and provision of property-scale spatial information are important aspects of a meaningful public participation process. The authors wish to thank the participants of this study, and in particular, NQ Dry Tropics and Burdekin Bowen Integrated Floodplain Management Advisory Committee for their support. We also acknowledge the funding contribution provided by the School of Earth and Environmental Sciences and the Graduate Research School at James Cook University. This research was conducted while the lead author was a doctoral student at the School of Earth and Environmental Sciences at James Cook University. The manuscript was improved through comments from two anonymous reviewers.